Park State Bank offers options for home equity loans to help you consolidate debt or to complete a home improvement or repair. 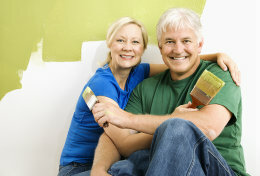 A home equity loan is secured by the value you own in your home. You also can use these loans for debt consolidation, vacations and the purchase of cars, trucks or other big-ticket items. Apply now online or call 218-727-8001 to discuss your needs. Click the tabs on the left to learn more. You receive a lump sum and make monthly payments over a defined period. This is a revolving loan, meaning the balance may change and that you may borrow up to a maximum amount during the period of the loan. You can withdraw funds, pay down the loan and then withdraw additional funds.